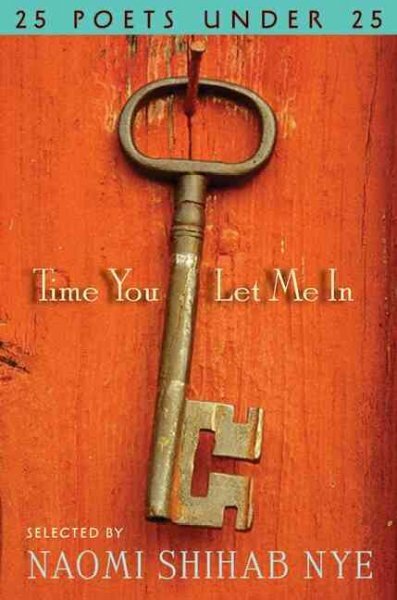 Poetry Friday--"Rain, Snow, and Other Weather"
We have a book in our young adult section titled, Time You Let Me In: 25 Poets under 25, selected by Naomi Shihab Nye [YA 811.608 TIM]. The book was published in 2010, so I imagine several, if not all the poets are now approaching the big three-oh. No matter, their poems of youth live on and continue to speak to readers. The poem for today is from that anthology, and is by Lauren Stacks, who, if we are to believe her website, now identifies herself as a novelist. the low, when you might need a light jacket. clinging to your long lashes. forget to pack an umbrella. How affirming and accepting! This poem is also perfect for the weird winter we're having. We never quite know what to expect weather-wise, but we know it's always safe to carry an umbrella. Bring your umbrella when you visit Catherine at Reading to the Core! 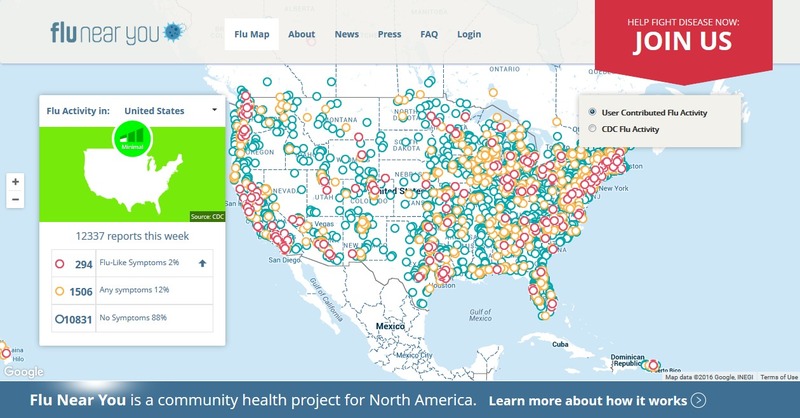 It's not often (except for politics), that you are asked to participate in the collection of data, but, if you or your family members have the flu, you can go online to a site called, Flu Near You, and report it. Data is collected to keep track of the disease this winter (peak flu season is February). Reporting is anonymous, so you needn't worry about your privacy. 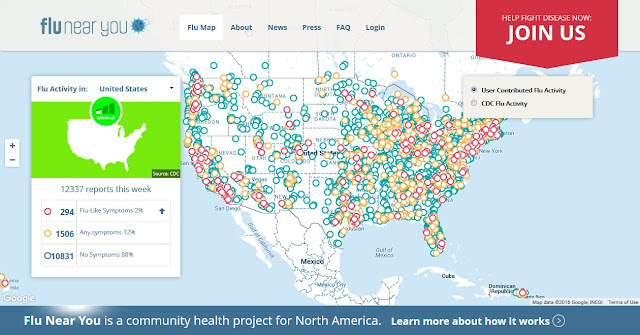 Flu Near You was created through a partnership between HealthMap at Boston Children’s Hospital, the American Public Health Association (APHA) and the Skoll Global Threats Fund. Besides your contribution, Flu Near You is also a source of news and information about flu and other viruses, such as the Zika virus. To learn more about the flu, visit the Center for Disease Control. Fighting the Flu by Robyn Hardyman [J 616.2 HAR] is a book written for children that would be worth reading, and sharing with your kids, as its information is presented simply. Have you heard that it takes 10,000 hours of practice to master a skill. Malcolm Gladwell promoted it in his book, Outliers: The Story of Success [302 GLA, also ebook]. The idea has been disputed, however, you must admit, if you practiced something for that long, you surely will improve! It's sort of the idea behind the 1,000 Books Before Kindergarten program that was recently rolled out in NH. The program's title is based upon a quote by children's book author, Mem Fox, "Children need to hear a thousand stories before they can begin to learn to read. Or the same story a thousand times!" Research has also proven that children who are read to will show an increase their vocabulary, and their listening and narrative skills. Reading to children helps to instill in them self-awareness, confidence, and an understanding of their place in the world. You need not be a Shakespearean trained actor to read to a child, just a willingness on your part to do so. And, of course, you'll need a book! 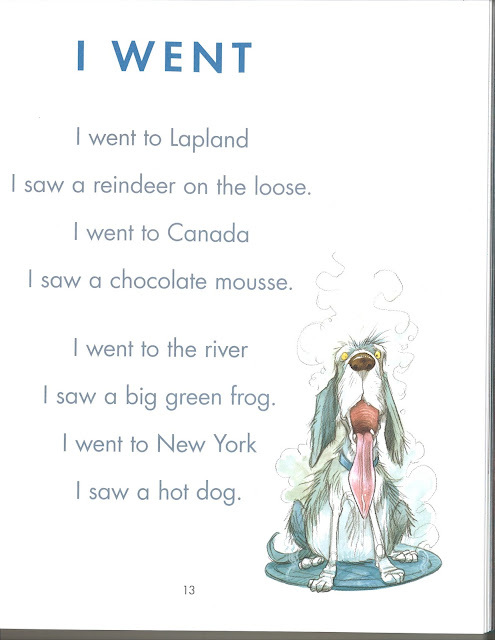 We have thousands of picture books and board books available at the Library. If you need assistance in finding one, we have staff to help you, as well as lists of titles. Visit the children's room to learn more about the program, to register, and to pick up a packet of relative materials. Then start reading! Drive along route 111 toward Salem and try to remember what the road used to be like before the new entrance and exit ramps went in. If you're a long time resident of the state, think back to what it was like when you grew up or first moved here. It's hard remembering what was where, isn't it? Fortunately, people have been taking photographs for decades. Some of these photographs have made their way into the "Images of America" series of books. Perhaps they'll spark a memory or two of what life was like years ago. Recently, I read an online article titled "The Best Movies from Books." It listed 25 titles that the writer considered good adaptations. Here are the book and movie titles (if different) for those 17 titles we have in our collections. Spend the cold winter evenings reading and watching, then draw your own conclusions. From reading the article’s comments, it is easy to see that there are many who disagree! The film that I think comes closest to the book is Room With a View based upon the book of the same name by E.M. Forster [F FOR, AB/CD FOR, ebook, DVD ROO]. It was so well done it is amazing! And the mist of sweat from his flanks. A blanket and a stall? 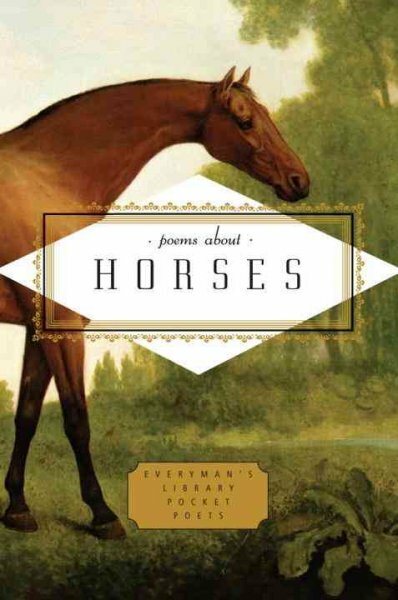 Found in Poems About Horses, edited by Carmela Ciuraru [808.819 POE]. Tara will be hosting the Poetry Friday Round-Up today at A Teaching Life. Do stop by! Will It Or Won't It Snow This Weekend? I've heard any number of forecasts of this weekend's snow event. Here's one that doesn't look good for those who hate snow--"But the storm won’t be a slouch in New York City or Boston—a foot or so of snow is likely in those cities, too." Sources closer to us are forecasting sun and clouds. As we get closer to the weekend, forecasts will change. For the sake of this post, let's talk about what you need to know if we get a major snowstorm. There are those who welcome such a storm--skiers, snowboarders, and KIDS! On Facebook I found advice for parents of kids who have a snow day. This article is from a school in Washington, D. C., but a snowday is a snowday no matter where! What I like about the piece is that it doesn't focus on outdoor play, but instead provides suggestions for what to do with the kids after they come indoors. You'll find varied activities such as making flavored popcorn and learning the fundamentals of code! As far as the Library is concerned, we will post closings on our website, Facebook, and Twitter pages. And, we will contact WMUR. Check for the Library under "N" for Nesmith. Parents of preschoolers please remember that if the Library is open, but the schools are closed or have a delayed opening, there will be no story hours that day. Finally, I want to alert you to our new collection of "Unusual Items." After all the snow we had last year, we decided to add a roof rake to the items that were have available to borrow! Who knows, you may need it after this weekend! 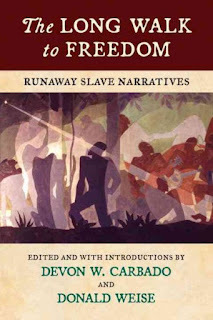 On Monday, Martin Luther King Day, NPR's Fresh Air ran an interview with Regina Mason about her genealogical discovery of an ancestor who wrote the first published fugitive slave narrative in America, Life Of William Grimes, The Runaway Slave. If you're interested in the topic, visit Archive.org and do a search using the term "slave narratives." You'll find other individuals' stories as well as many volumes of interviews with former slaves compiled by the Works Progress Administration (WPA) during the 1930s. So, Did You Watch In Defense of Food? A couple of weeks ago I recommended watching the documentary film, In Defense of Food, which was being shown on PBS. It is still available to watch, but only for another week; click here to view it online. So, why am I posting about it again today? To offer you some assistance in eating more plants! If you're not afraid to try new things, then you're good to go. The marketplace is fortunately also making it easier to move to a more plant-i-ful life. Supermarkets offer aisles and aisles of fresh fruits and vegetables. More vegetarian offerings are appearing on restaurant menus. And, if this article is any indication, there will probably be plant-based pubs in our future! This is only a sampling--I haven't even included the books for vegans! If you've seen In Defense of Food, you will know it's still okay to eat meat--only less of it! The Library is closed today. We'll re-open tomorrow at 9:00 am. 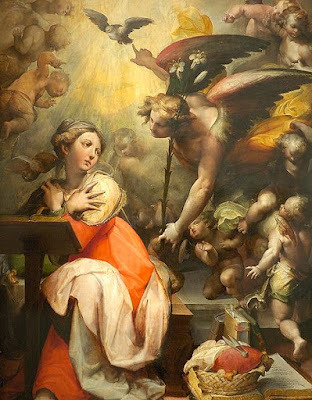 "Anunciación" by Nosadella (Giovanni Francesco Bezzi), courtesy Wikimedia Commons. Can you see the earlier dove? It is barely visible below the one in the finished painting. I've had a renewed interest in art over the past year and have spent many hours on YouTube watching how-to videos, and art history courses. We also have several recently-purchased art videos in our collection. One, that I found fascinating is Understanding Art: Hidden Lives of Masterpieces [DVD 700 UND]. The two disk set explores what may be underneath great paintings and how they may have been altered over hundreds of years. Many times the term pentimenti is used. 1. the presence or emergence of earlier images, forms, or strokes that have been changed and painted over. "Pentimenti of an earlier position of the arm may be seen." Head over to Keri Recommends for this week's Poetry Friday Round-Up! Ever since the Library added a telescope to our collection, I've become more aware of night sky events. 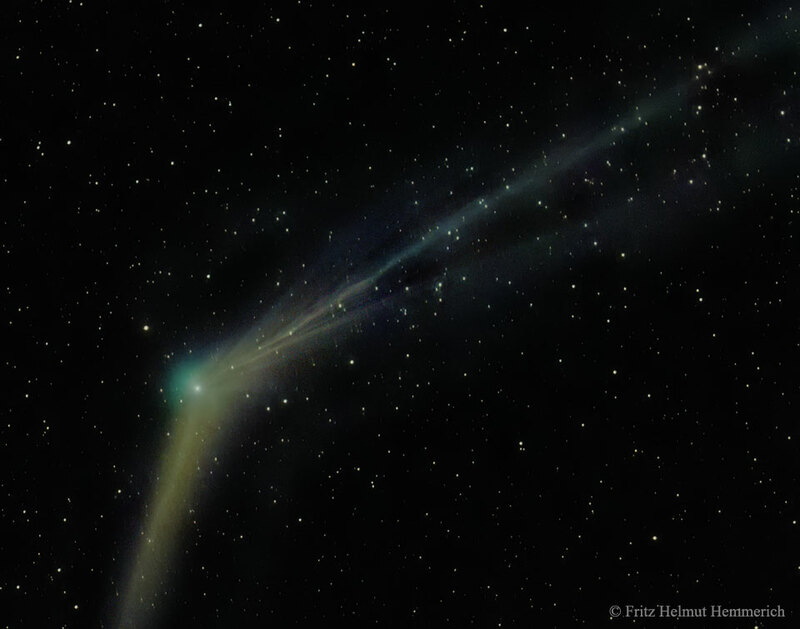 Since last Saturday, the 9th the Comet Catalina has appeared in the predawn sky. It is visible by means of a pair of binoculars, and it should be more easily seen through a telescope. On Sunday, the 17th, the comet will be at its closest point to the Earth. To learn more about Catalina, click here. We have quite a number of books on comets and asteroids in our children's collection under J 523.6. Our newest one is Comets by Kate Riggs [J 523.6 RIG]. I'm sure you've heard, by now, of the passing of music legend, David Bowie. Those of us who remember rocking to Bowie in the late 60s and 70s, will surely miss him. The link I was planning on sharing today, fits perfectly with Bowie's Ziggy Stardust persona. It comes from NASA, and is a library of sounds from space. The library is free for the public to download and use in projects. And, perhaps some young songwriter will write music to accompany the sounds. I think Bowie would have enjoyed it! Bowie also acted in several films, and is perhaps best known for his performance in Labyrinth [DVD LAB]. 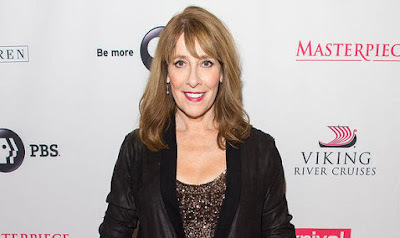 Phyllis Logan? 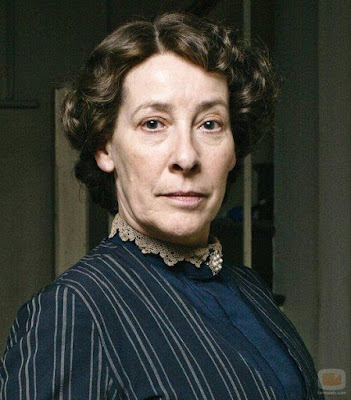 Yes, the actress who plays Mrs. Hughes, from the PBS series, Downton Abbey. Ms. Logan turns 60 today! Did you catch episode 2 of the final season, last night? Downton fans don't want to miss a single episode. If, for some reason, you were unable to watch it, you can see it online at PBS.org. Check out some of the other Downton Abbey features such as "The Ultimate Episode Guide", which promises "Episode Spoilers, Trivia Quiz, Cast Video Interviews, Best Quotes, and More!" On the off-chance that you haven't watched Downton Abbey before, we have all 5 of the seasons leading up to this one [DVD DOW]. I doubt if they're on our shelf right now, but you can always put a hold on them! The photo, from Getty, is taken from an article which appeared in the British paper, The Express, back in November 2015. We're back to a regular Poetry Friday schedule now that the holidays are over! The book I'd like to introduce you to today just came in. It's A Great Big Cuddle: Poems for the Very Young by Michael Rosen (illustrated by Chris Riddell) [J 821 ROS]. Overall, this book is quite appealing for toddlers and children up to about kindergarten age. The poems are mostly short, rhythmic, silly, and invite the child to participate either through movement or vocalization. The reader could certainly have a good time reading it aloud, too! The illustrations are bright, but not glaringly so. They're what I can only describe of as soft and full of humor. The fonts come in many colors and are of multiple sizes. And, the poems are laid out in ways fitting to each. The one objection I have is the size of the book. It is approximately 10 1/2 X 11 1/2," which doesn't sound particularly large, but could be a problem if the reader is trying to hold it open with a wiggly child on her lap. I would recommend the title for use in story hours, and, if you're looking for a baby shower gift, you can't go wrong with this one! The Opposite of Indifference is the place to be for the Poetry Friday Round-Up hosted by Tabatha Yeatts. Are you a teen in grade 9-12? 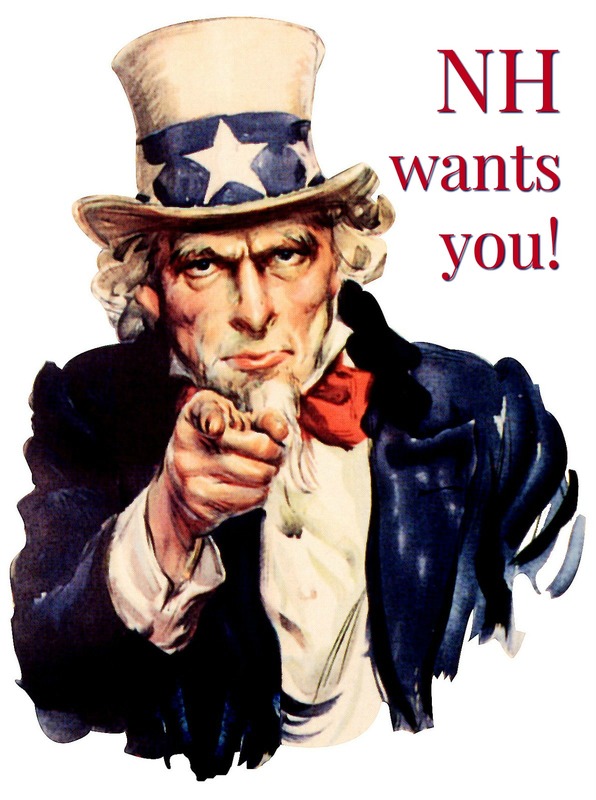 The state of New Hampshire wants you! You're needed to nominate titles for the 2016 Flume Award list. 1. Be nominated by teens in grades 9-12. 2. Appeal to teens in grades 9-12. 3. Have a publication date within the past two years. 4. Be "stand-alone" titles, that is, if the book is part of a series, the reader need not have read any of the other books in the series to understand the plot and characters. The deadline for nominations is Friday, January 29. The Flume Award committee then reads and discusses the titles and compiles the Flume Award reading list. The Flume Award reading list will be announced in March. 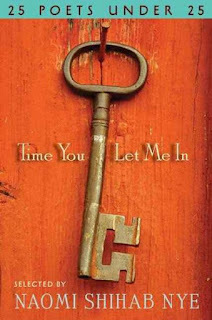 Teens vote for their favorite title during Teen Read Week, October 9-15, 2016. In addition to book format, most are available in formats such audiobooks and ebooks. We even have three of the titles in Chinese, for those of you who are studying that language! Michael Pollan has been a voice for healthy eating for the past quarter-century. 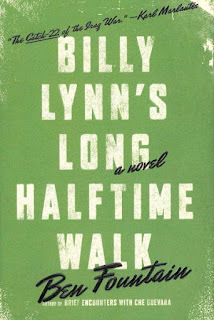 His books stay on the bestseller lists for weeks and months at a time. Now, Pollan has been instrumental in a documentary film based on his book, In Defense of Food: An Eater's Manifesto [613 POL, also AB/CD 613 POL]. 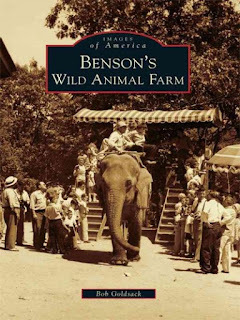 The film aired last week on PBS. It is available for viewing online until January 28. Click here to watch. Pollan's other books, which we have in our collection, are The Botany of Desire: A Plant's Eye View of the World [306.4 POL], Cooked: A Natural History of Transformation [641.5 POL], Food Rules: An Eater's Manual [613.2 POL], The Omnivore's Dilemma: A Natural History of Four Meals [394.12 POL], and Second Nature: A Gardener's Education [635.9 POL]. Most are also available in audiobook. Last Thursday I mentioned the USS Constitution Museum and its "by donation" price of admission. Today I'd like to tell you about a museum where the admission is free! You may have noticed a number of new and unusual items displayed on top of our reference shelves. 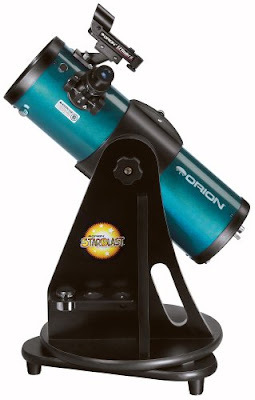 One of these items was a generous donation from the NH Astronomical Society, an Orion StarBlast 4.5" Telescope. Anyone over the age of 18, with a Nesmith Library card in good standing, may borrow the telescope for two weeks. Matloff, Gregory L. Telescope Power: Fantastic Activities & Easy Projects for Young Astronomers. To find out what may be visible today, check out Sky & Telescope's "This Week’s Sky at a Glance."